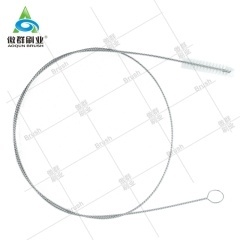 AOQUN Garage Door Seal Brush can be mounted on various kinds of garage door frame and door bottom. 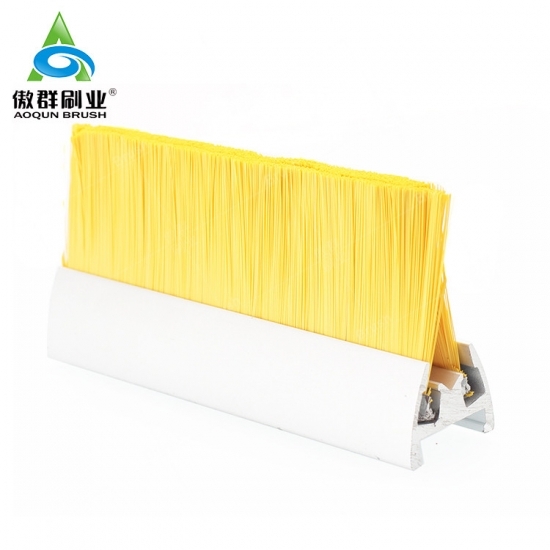 AOQUN Escalator Skirt Brush can be mounted on various kinds of escalators and elevators. 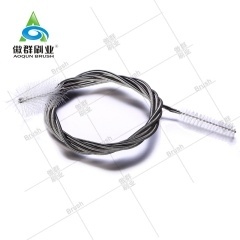 AOQUN cpap tube cleaning brush promotes a cleaner healthier bacteria free air breathing experience. 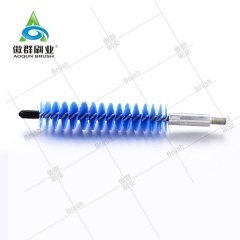 The chiller tube cleaner brush Of Various Specification And Shape are Manufactured by AOQUN. 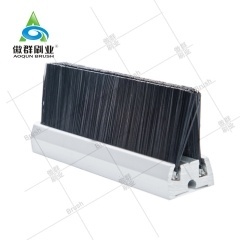 AOQUN Flame Retardant Escalator Side Brush can be mounted on various kinds of escalators and elevators. 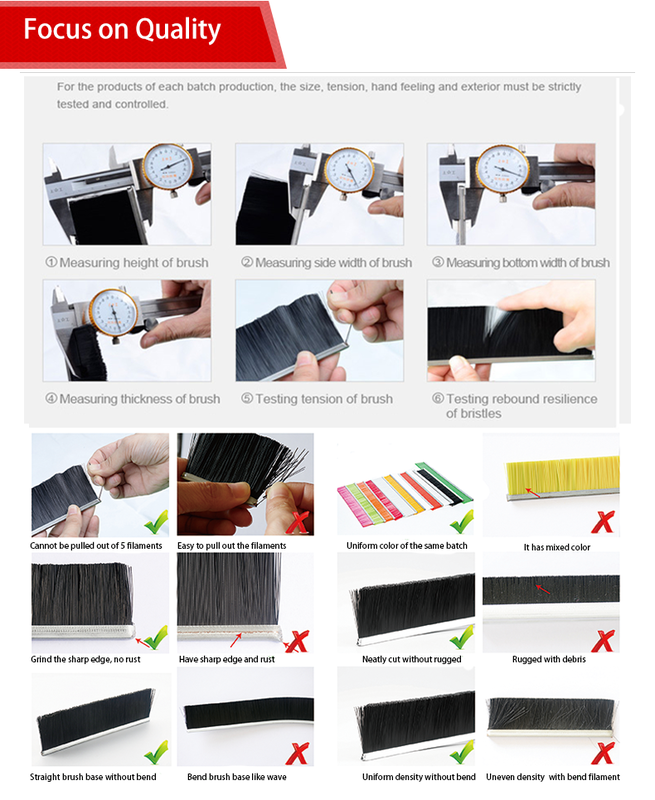 AOQUN escalator side brush 's friction≥1 Million Times without any deformation. 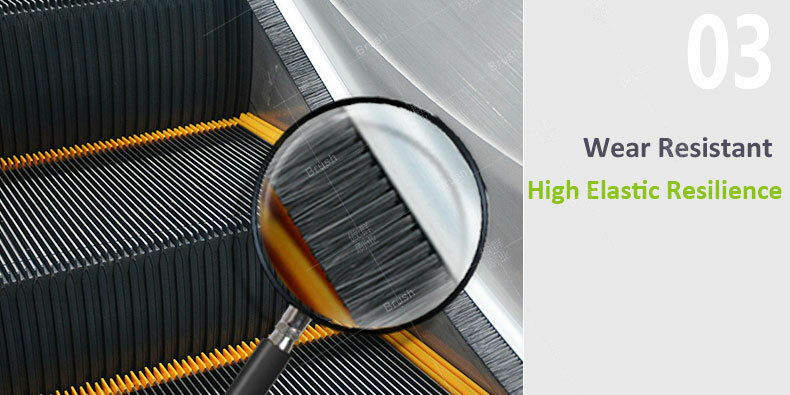 AOQUN escalator side brush has been designed to stringent quality and safety specifications and is suited to a wide range of escalators and moving walks, while meeting global escalator safety code requirements. 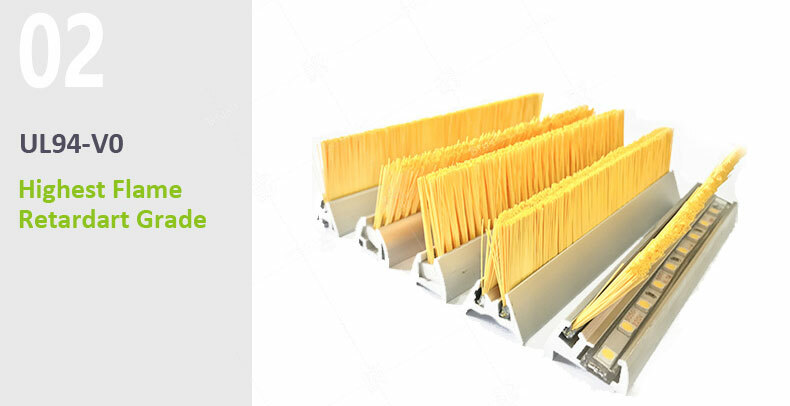 Our escalator side brush installs in less than half the time of other deflector devices because of its revolutionary flexible brush spine. This flexible spine also allows for easy removal for regular maintenance of the escalator. AOQUN has established a long-term cooperative relationship with Schindler, Toshiba, KONE, ThyssenKrupp, Otis, Hitachi, Mitsubishi, Fangda and other internationally famous escalator enterprises. 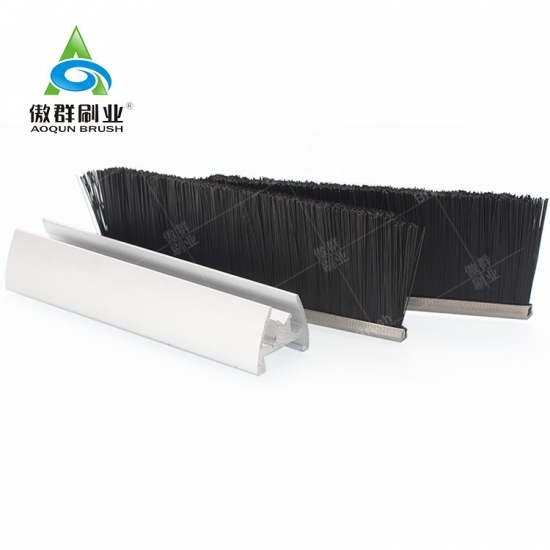 AOQUN’s escalator side brush for Escalator are sold to more than 50 countries and regions, provide a safer elevator and escalator riding experience and environment worldwide. 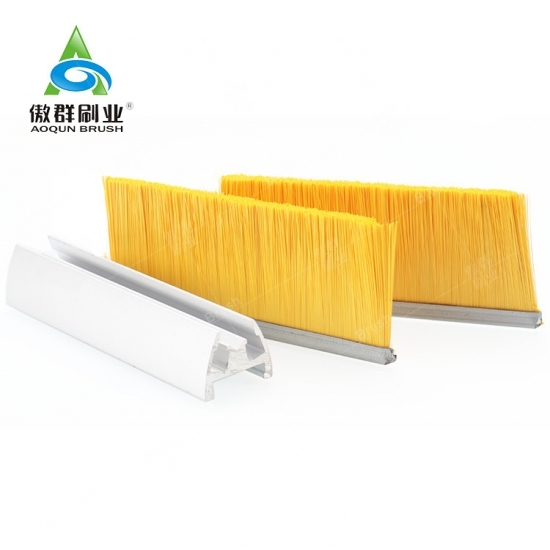 Description -AOQUN Escalator Spare Parts escalator side brush is a combination of strip brush and aluminum profile. 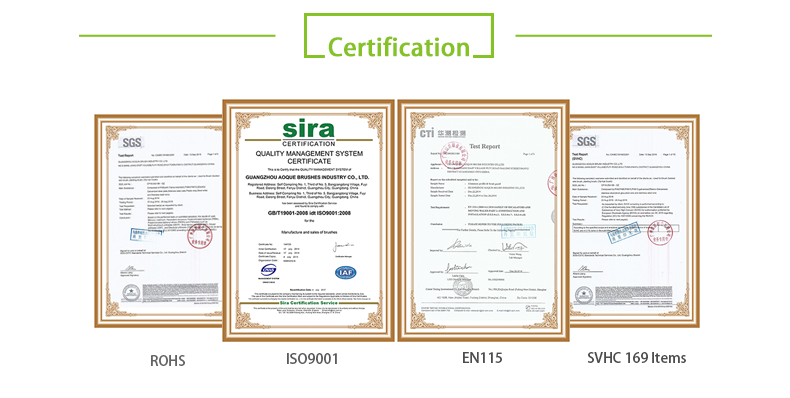 The pure and newly nylon filament does not contain heavy metals, compliies with RoHS, SVHC, etc. 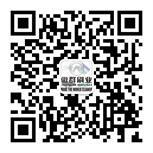 Comply with the UL94-V0 flame retardant standards. Extinguish immediately when remove from the fire. V-2: After twice 10 second flammability tests , the flame was extinguished within 60 seconds. Some burning substances dropped. V-1: After twice 10 second flammability tests , the flame was extinguished within 60 seconds. No burning substances dropped. V-0: After twice 10 second flammability tests , the flame was extinguished within 30 seconds. No burning substances dropped. It passed 1 million times of high speed friction deformation test, which can suffer the friction of the high frequency running escalators. 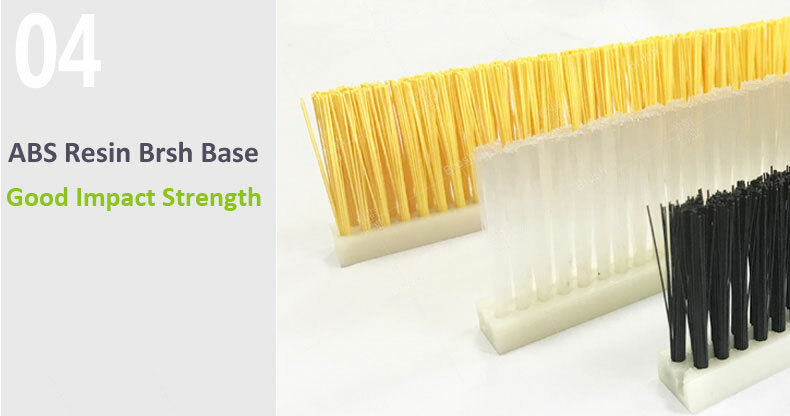 ABS resin has the feature of excellent impact resistance, heat resistance, low temperature resistance, chemical resistance and electrical properties. 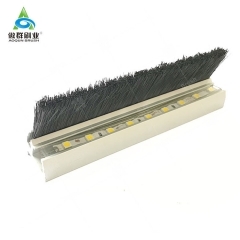 Bright yellow nylon flame retardant escalator side brush with LED lighting gives the passengers a strong warning feeling and upgrades the escalator safety and aesthetic effects. 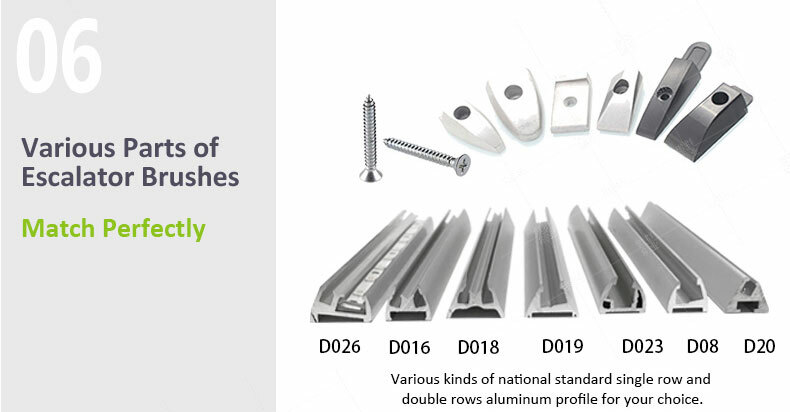 Provide a variety of national standard oxidation aluminum alloy brush bases and end-caps. 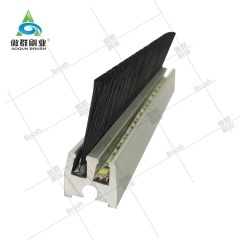 More Than 40 model of aluminum profile for your choice,Can be customized by your drawings. 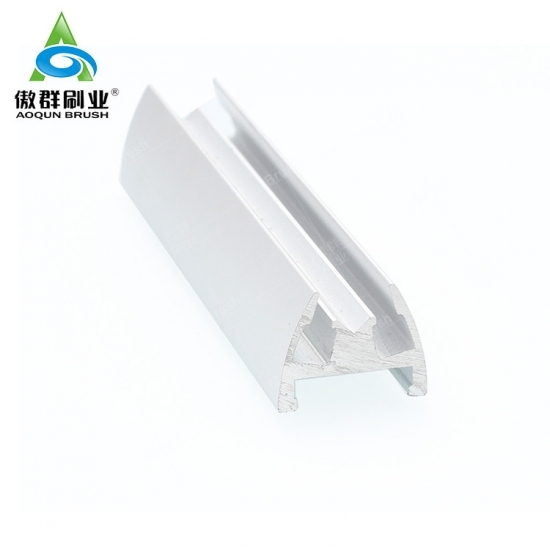 Aluminium Profile Single Row, Double Rows Base Width 19.5mm, 20mm, 22mm, 23mm, 28mm, 30mm, etc. 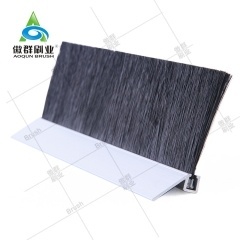 End-cap Material Aluminium, Plastic Brush Color Black, White, Yellow, transparent, Red, etc. Honor Customers Schindler, Toshiba, KONE, ThyssenKrupp, Otis, Hitachi, Mitsubishi, Fangda, etc. 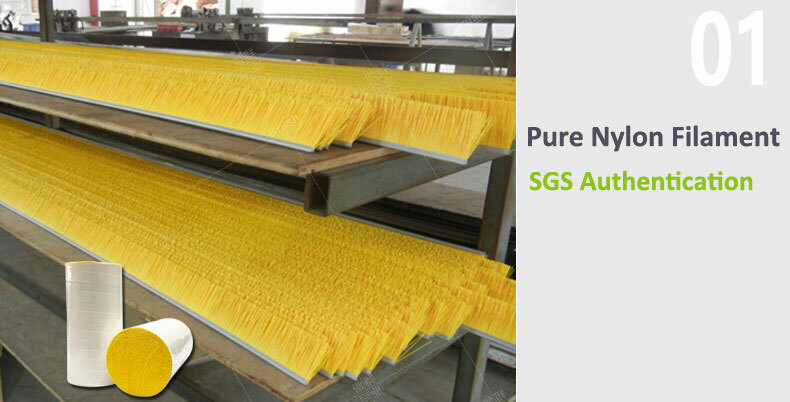 For the products of each batch production,the size,tension,hand feeling and appearance must be strictly tested and controlled. 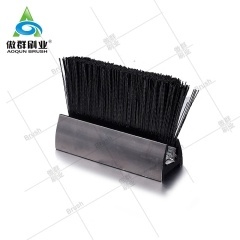 AOQUN Universal Escalator Skirt Brushes can be mounted on various kinds of escalators and elevators. 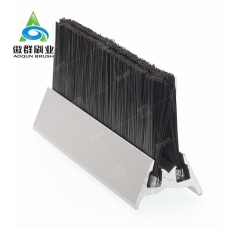 AOQUN escalator safety brush can be mounted on various kinds of escalators and elevators. 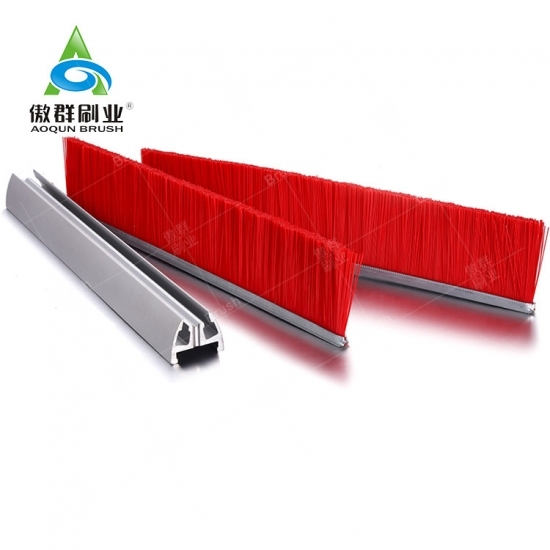 AOQUN elevator brush can be mounted on various kinds of escalators and elevators. 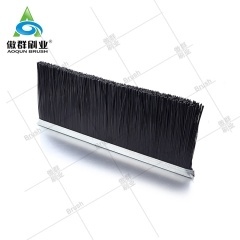 AOQUN Escalator Spare Parts Brush can be mounted on various kinds of escalators and elevators. 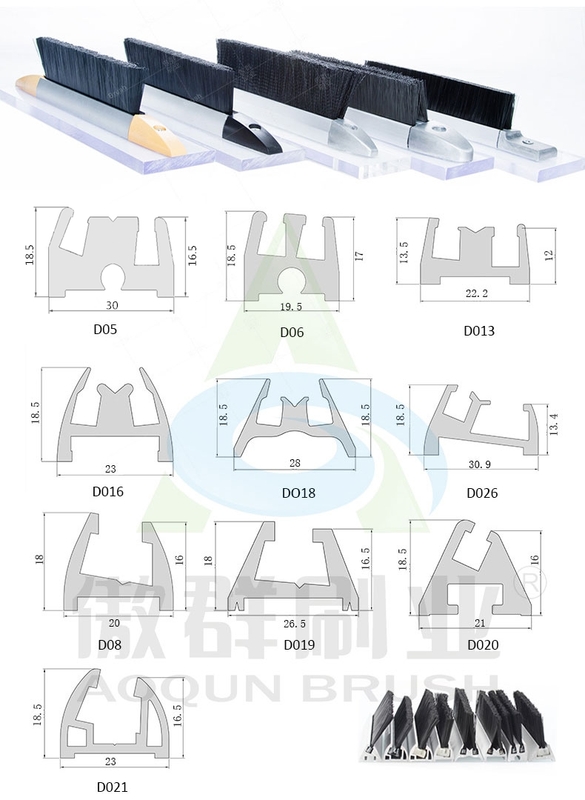 AOQUN Brush for Escalator can be mounted on various kinds of escalators and elevators.